Home » SEO blog » Technical SEO » Quality! This week we released version 3 of our Yoast SEO plugin. I can honestly say we’re very proud of this release. I’ll recap a bit on the release and there was one bit of news from Google I don’t want to withhold you: they released the search quality guidelines they give to their quality raters to the public. Google employs a group of people who manually rate their search result on a continuous basis. A feedback loop to tell them whether specific changes worked, whether some sits are spammy, etc etc. They give these raters a set of guidelines to work with. These guidelines were leaked before, but now Google has decided to just publish them publicly. The SEM Post seems to have had it earlier than most people did, and had a fantastic write up about it. I’ll just point you there to read the whole thing. They also summarize the changes in comparison to older versions, which is very useful info. 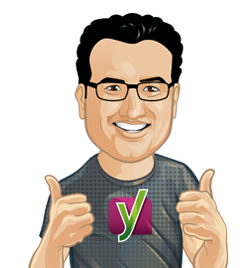 Yoast SEO 3.0 came out with a bang. There were a lot of tweets, a lot of comments, a lot of forum posts, a lot of Facebook comments. Some very positive, some (ok, quite a few) negative. Things were broken for some people and we tried to fix them as well as we could. What most people don’t realize is that WordPress greatest strength for the user (the ability to run countless combinations of plugins and versions of plugins and settings etc.) is its biggest problem to anyone maintaining a plugin. Yoast SEO is active on well over 4 million websites in the last count. That means there are also approximately 3.9 million different configurations. We can not possibly, ever, test everything that could occur. So when we hit release on an update as major as this, we know things are going to go wrong. Even when we’ve tested with our full team (8 full time developers) for 3 weeks in a row. The sheer size of our community just means that’ll always be the case. Taco wrote about what we did to get to the point of release. In the beginning, it worked for about 95% of people, some people thought stuff was broken but clearing their browser cache fixed it. We’ve quickly rolled out 3.0.1, 3.0.2 and 3.0.3 updates, which seem to have fixed the issue for 98-99% of people so far. But even 2% of 4 million is still 80,000 installs where something is broken. Trust me, we know. 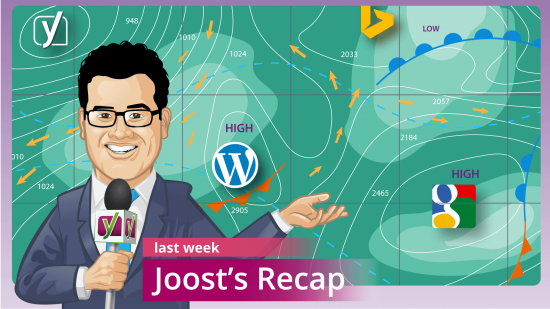 Yoast SEO 3.0 might, because of the above, look like a dramatic update to some, I think it was actually a very good release. Considering we re-built about 30% of our codebase in another language, the amount of bugs is relatively low. If you haven’t, go read the release post and see why we took the huge steps we did. I run multiple sites and with major updates like this one I always use a smaller, less visited site to test things out. This is especially helpful when a plugin breaks the whole site. I guess using more of the simple explainer “videos” like the realtime thing would surely help though. Where are all the SEO fill in lines at the bottom? How do we change things? I hate this new version! I want the old version back! How do I change back? What happened to all the SEO fill in lines? How do I change things? I hate this new version! How do I get the old version back! Hi Yoast Crew, is the Flesch Reading Ease adapted to different languages or is your test always on basis of english language? I read on Wikipedia there are differen adaptions depending on the language. I was happy to find out that the readability tests (reading ease) were part of your algorithm. Ashwing have reason in his words!!! Thanks for working hard on the Plugin. 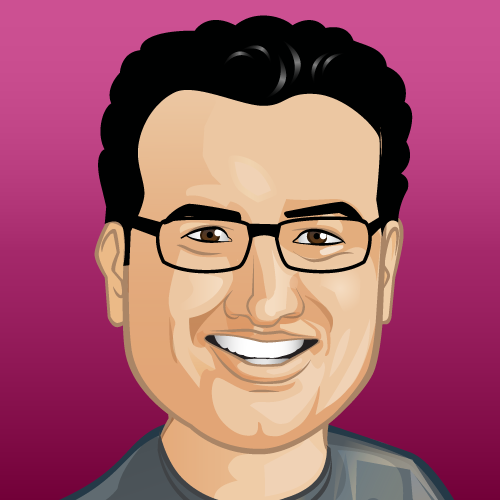 Seo by Yoast is the best WP plugin for SEO and Now after the update of 3.0 it is more awesome. Multimple keywords and real time Score of content is very usefull and time saving. I never faced any problem after the 3.0 update. I just felt that I had to post you again, because I was one the users who was early out updating to 3.01 and realize there was some issues. But I didn’t read all of the comments, so when we first updated to 3.03 I saw that it was the caching issue on my side that was the problem and nothing with the update. So sorry for screaming out that the update broke my site. It didn’t. I like to give you big creds for what you guys are doing, writing about and creating such a great product. You guys rock! One thing I hope you can fix, though, is to improve the back-end performance, although I love the real-time update of the scoring, but I think the back-end load performance has gone a little bit down after the update. I guess that is something you are looking into already. Enjoy the weekend and be proud of what you are doing and have accomplished so far. It is truly something amazingly great.